Grand Prize: One (1) Grand Prize will be awarded. 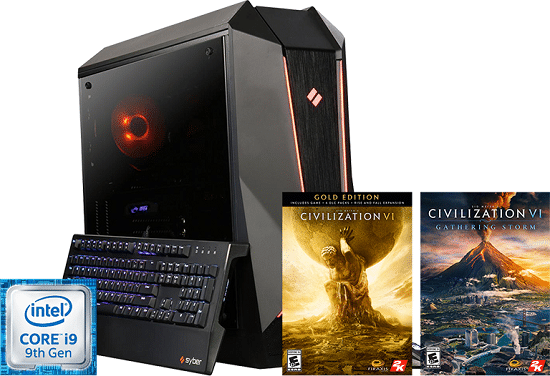 The Grand Prize consists of an Intel 9th Gen Core i7 Gaming PC and Civilization VI: Gold Edition LC + Gathering Storm download code (ARV: $2,000). Daily Prize: Forty-two (42) Daily Prizes will be awarded. The Daily Prize consists of a Civilization VI: Gold Edition LC + Gathering Storm download code (ARV: $70USD).